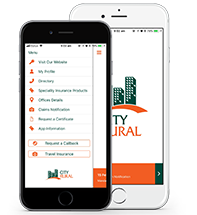 City Rural Insurance Brokers has many years of experience with events and entertainment insurance. We understand the insurance needs of artists, performers and groups, along with the wide range of styles, media and effects that are used in the performance. We will work to ensure that we arrange quality cover. As part of our support for the Melbourne Comedy Festival, we have negotiated a comprehensive Liability policy to protect you. Often the venues will not provide you with Liability cover. If you accidentally damage their property, they or their insurer may seek reimbursement for the damage and possibly loss of income. The policy also provides cover if audience members are injured whilst attending the event. This is when the Liability policy can provide you with protection. The policy does not include performers whilst participating in the event against injury. A contractor / subcontractor is engaged as part of an overall contract for which the insured is providing goods or services. They are people or entities who are engaged, under contract, to carry out work for an insured, usually on their behalf. They may supply plant, tools and materials to complete the work undertaken and typically have their own public liability insurance. E.g. - A lighting contractor you have engaged to supply & setup lighting for your show or a rigger setting up your equipment for a show.